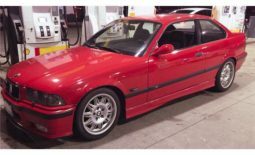 If you’re looking for a mid-engined exotic with a rare double-overhead cam engine, and you absolutely do not want to see the same car when you pull up to Cars and Coffee or Cruise the Dub, then we might have just the thing for you in this week’s autoTRADER.ca Find of the Week. 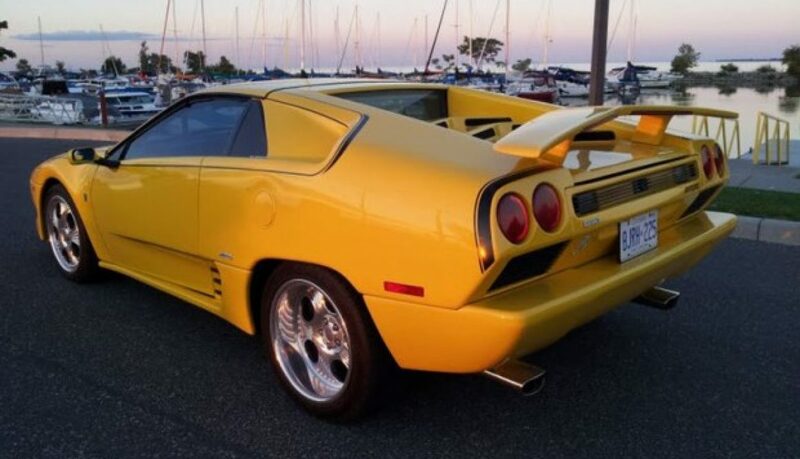 Starting with a 1985 Pontiac Fiero, this Lamborghini Diablo-inspired replica is based on an Artero kit by Phoenix International Sport Automobiles, a leading (and one of few remaining) Fiero re-body company. The kit is made in glass-fiber, and completely changes the look of the Fiero. On top of the kit, parts of the body of this car have been further modified for a real custom fit and appearance. Is it 100-percent a Diablo look-alike? No, but that’s not really the target. It looks very similar, and since the kit looks to be well made and (more importantly) well installed, the car will stand out more in a good way than bad. And hey, nobody blinks twice at a mustang-based fake Cobra, do they? I asked the seller what made him look at a car like this, and he talked about how it was not just very different, and very unique, but it’s also reliable. Everything mechanical is mass produced GM, not one-off exotica. That also means that on the chance that something breaks, you can get the part at your local parts store. Probably on the shelf. 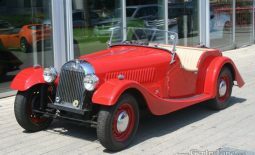 Re-bodied Fieros used to be somewhat common, the same way Baha Bugs were popular in the ’60s. There was not much else like it available in the ’80s. Affordable, mid-engined, easy to modify. The Toyota MR2 often got the same treatment. Helping their case was the fact that real exotics were very expensive and far more low production than today, but what may be the biggest factor was that their looks often didn’t match the performance. In addition, they weren’t exactly what you would call reliable or reasonable to service either. So companies stepped up offering you the looks without some of the headaches. For a look at more repli-cars, some as good-looking as this, some a little bit more questionable, some very questionable, take a look at our weird replicas and customs slide-show. The kit doesn’t upgrade just the exterior, there are changes inside as well. This car comes with the upgraded dashboard, which adds extra vinyl padding, an improved glove box, and wood trim. I think it is actually an improvement over the stock dash. There are also custom seat covers and door trims unique to the Artero. 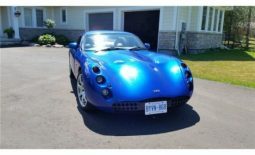 Custom and kit cars are often let down by the details, both inside and out, but the seller says that countless hours were spent making sure the bodywork fit perfectly. The dash and seats show this, as do the wider rear wheels. Filling the wheel wells is important to looking right. Under the rear hood is a slightly more exotic engine than stock, but still GM hardware. There is a 3.4L DOHC V6 crate engine installed that makes about 220 hp. Nearly double the factory 2.8L, and it certainly sounds better too. It should be enough to move this car around briskly. Putting the power down is a four-speed manual driving the rear wheels. If you want to be seen and drive something truly unique this summer, this Fiero, for sale in Belle River ON, has all the vents, skirts, strakes, and pop-up headlights you could possibly want and should probably be on your list.